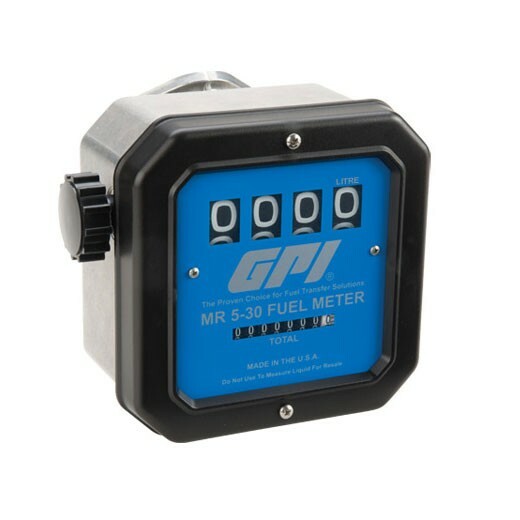 GPI MR-5-30-G8N 126300-03 Aluminum Mechanical Fuel Meter is calibrated in gallons with 1 inch NPT. The meter can deliver up to 30 GPM. 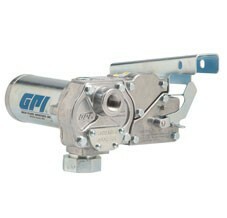 The GPI 133265-03 M-3025CB-ML 12-volt DC heavy duty vane pump delivers fuel up to 25 GPM (95 LPM). Includes 18' hose and manual leaded nozzle. 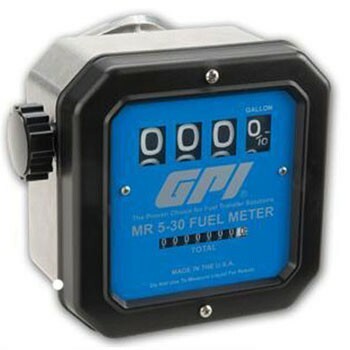 The GPI MR 5-30-G8N 126300-201 Aviation Mechanical Fuel Meter is calibrated in gallons with 1 inch NPT threads. This meter measures up to 30GPM. The GPI MR 5-30-L8N 126300-202 Aviation Mechanical Fuel Meter is calibrated in liters with 1 inch NPT threads and can measure up to 114 LPM. 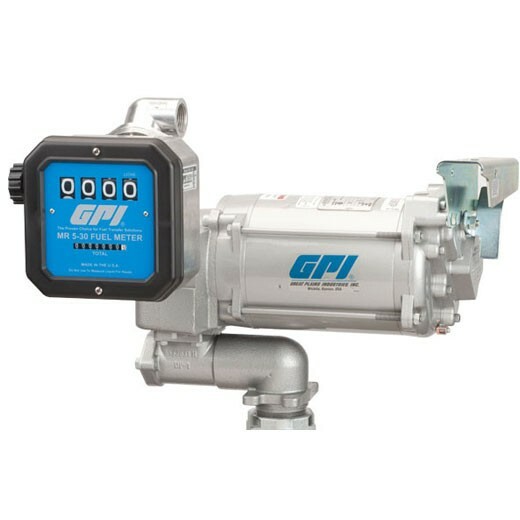 The GPI M-3130-AV-PO / MR 5-30-G8N Aviation Pump and Meter Combo is calibrated in gallons with 1 inch NPT outlet. 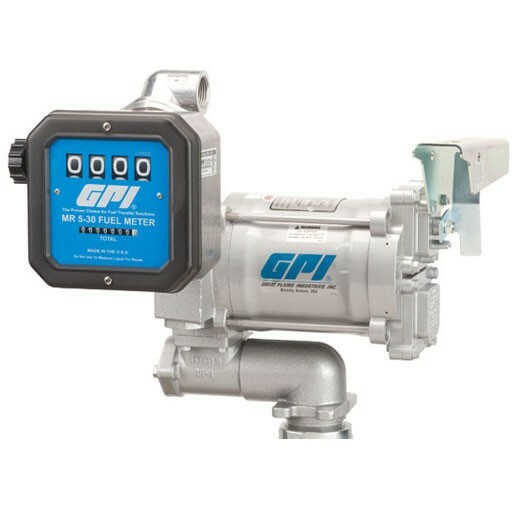 The GPI M-3025CB-AV-PO / MR 5-30-G8N Aviation Pump and Meter Combo is calibrated in gallons with a 1 inch NPT outlet. For use with aviation gasoline (AVGAS 100LL) and kerosene grade (JET A). The GPI M-3120-AV-PO / MR 5-30-L8N Aviation Pump and Meter Combo is calibrated in liters with 1 inch NPT outlet. The GPI M-3120-AV-PO / MR 5-30-G8N Aviation Heavy Duty Pump and Meter Combo is calibrated in gallons with a 1 inch NPT outlet. 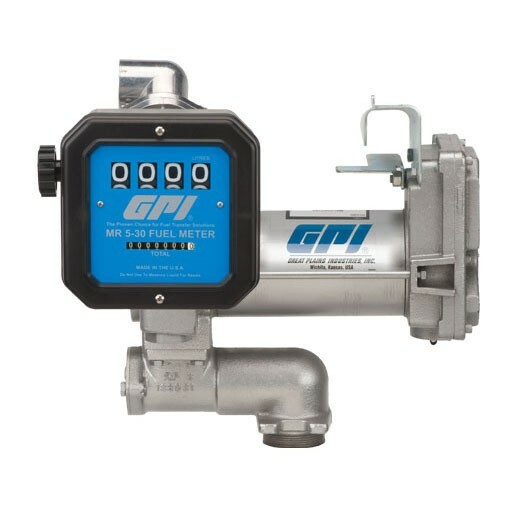 The GPI M-3130-AV-PO / MR 5-30-L8N Aviation Super Heavy Duty Vane Pump and Meter Combo is calibrated in liters with a 1 inch NPT outlet. 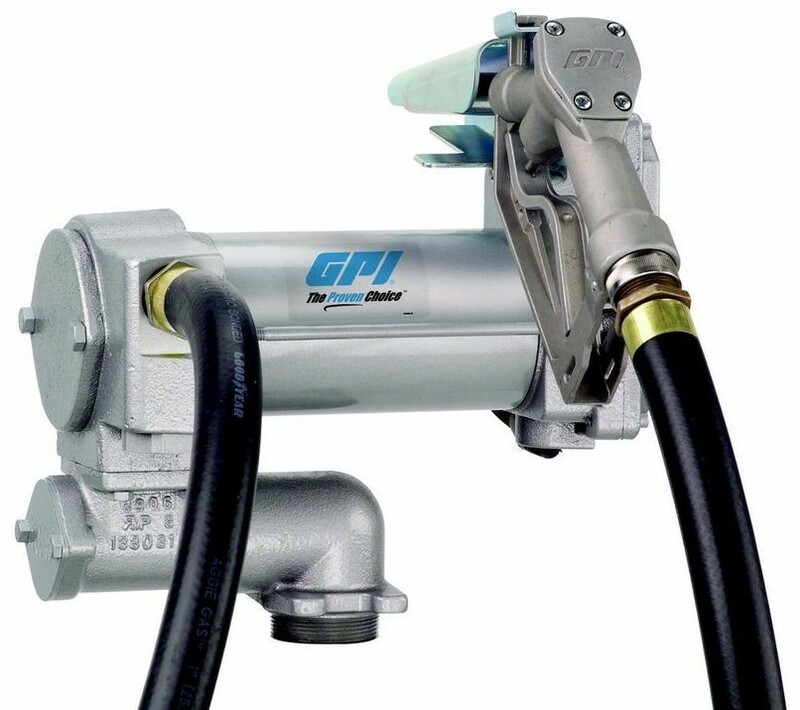 The GPI M-3025CB-AV-PO / MR 5-30-L8N Aviation Heavy Duty Vane Pump and Meter Combo is calibrated in liters with a 1 inch NPT outlet. This pump is for use with aviation gasoline (AVGAS 100LL) and kerosene grade (JET A). 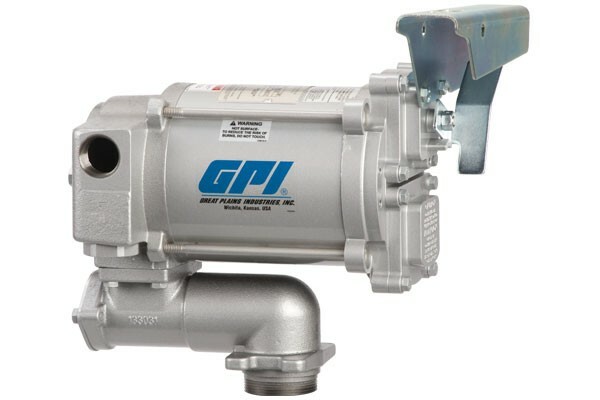 The GPI 133265-04 M-3025CB-AD 12-volt DC heavy duty vane pump delivers fuel up to 25 GPM (95 LPM). Includes 18' hose and auto shut off leaded nozzle. 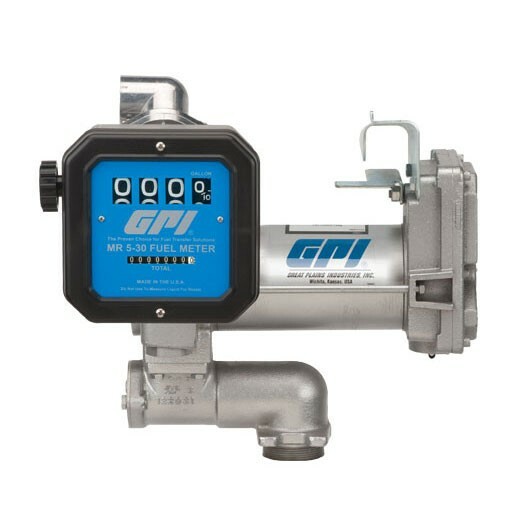 The GPI M-3120-PO / MR 5-30-G8N Aviation Pump and Meter Combo is calibrated in liters with 1 inch NPT outlet.